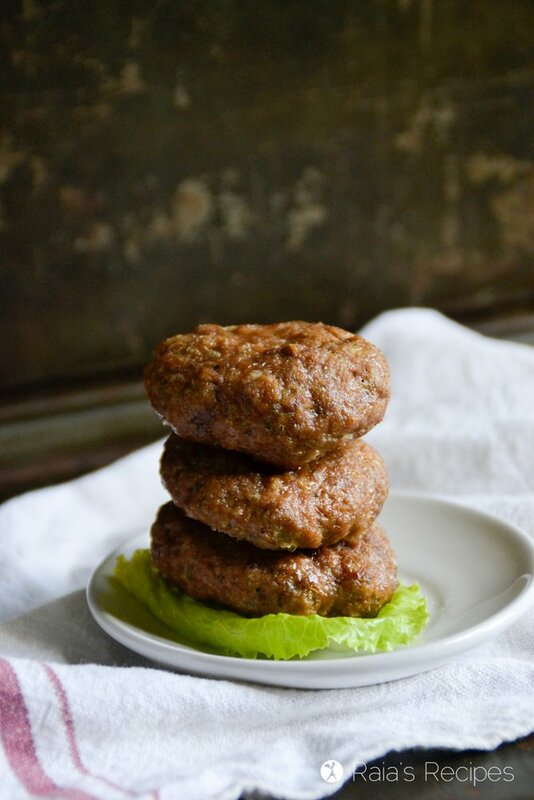 Paleo Meatloaf Sliders :: Made in an air fryer or oven! 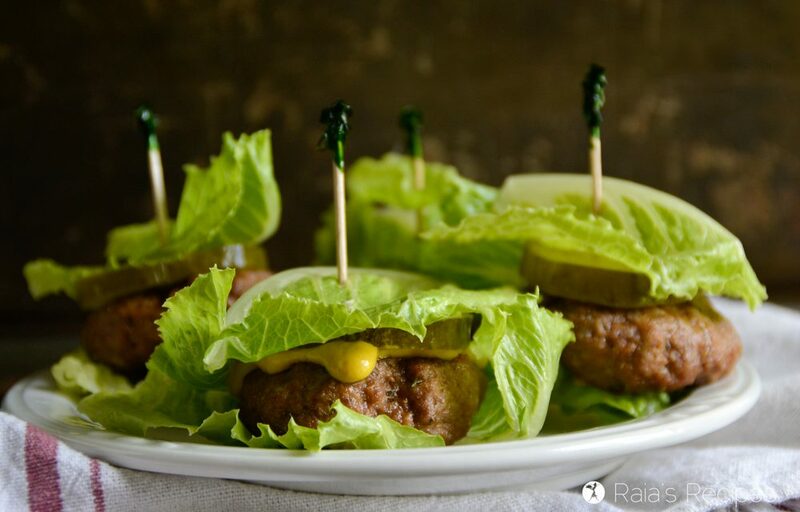 Juicy, delicious, and surprisingly easy, these paleo Meatloaf Sliders are a fun way to switch up a classic meal. Growing up, my mom never made meatloaf. I heard my friends rave about how awful a meal it was, and my childhood self was thankful that my mom never had it on the menu. Then one night after getting married I learned that my new grandfather-in-law was making meatloaf for dinner. I was nervous. Of course I had never had meatloaf, so I couldn’t say for sure whether or not I liked it. Now my children all know and love meatloaf. It’s become a dear friend in our kitchen! Mini things for the win. When I saw saw this recipe for Meatloaf Sliders in my friend Karen’s new cookbook, Paleo Cooking with your Air Fryer, I knew I had to try it! And Karen was gracious enough to let me share it with y’all! It’s pretty much everything that makes meatloaf a hit in my family, but in personal mini-size! And I don’t know about your kids (if you have any), but mini anything is always a win over here! Needless to say, the Meatloaf Sliders were a huge hit, and I can’t wait to try more of Karen’s recipes! 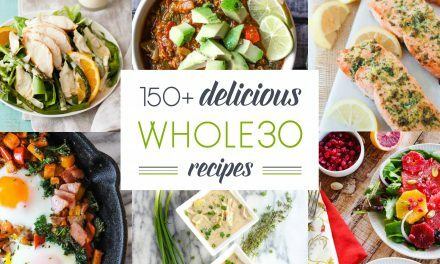 Paleo Cooking With Your Air Fryer has 80 mouthwatering, paleo-friendly recipes all made in an air fryer! Everything from appetizers, meat dishes, and vegetarian dishes to desserts and staples. They’re not made with any fancy ingredients, either. Just real unprocessed foods that are available at pretty much anywhere. She even includes recipes for some of the basic staples in the book. And there’s even a chocolate cake! In her recipes, Karen uses the Philips XL Air Fryer. If you have a different kind, you may have to adjust the temperature and time as close as you can to the settings in the recipes. If you don’t have an air fryer, don’t worry. 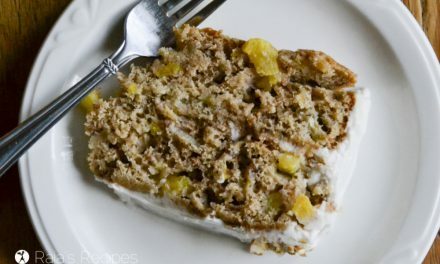 You can still enjoy these Paleo recipes! CHECK OUT PALEO COOKING IN YOUR AIR FRYER HERE. But I don’t have an air fryer? While I’m sure my husband would just love for me to go out and buy an air fryer so I could try everything in Karen’s new book, I’m not going to. Haha. It doesn’t say so in the book, these recipes are totally adaptable for the oven – regular or convection. I happen to have a convection setting on my oven, and that’s what I used. In order to get the right texture (like you would in an air fryer) you’ll want to place the food on a wired rack so there’s air flow all around the food. Just put a cookie sheet at the bottom of the oven to catch any oils or food particles that drop from the food. I put my oven at the same temperature as the recipe required, but cooked the Meatloaf Sliders for 5 extra minutes. 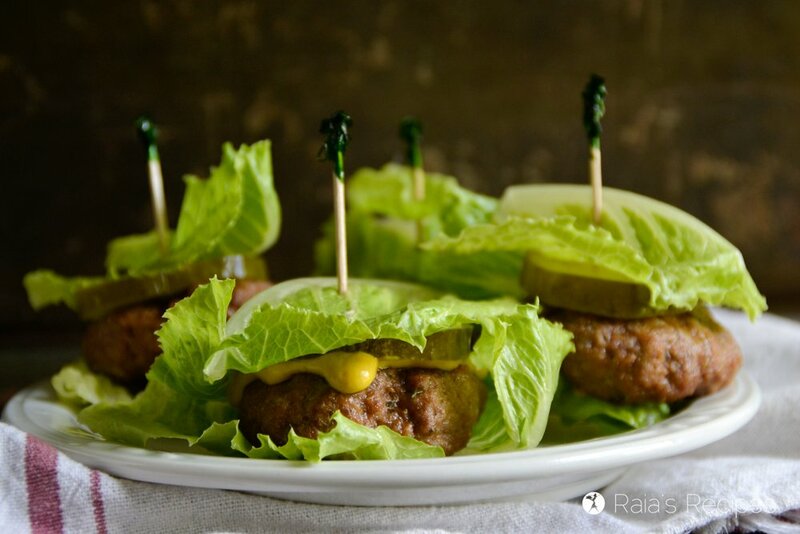 These meatloaf sliders are delicious wrapped in lettuce with mustard, homemade mayo, and a pickle slice (that’s how I ate them), dipped in ketchup (that’s how my kids liked them), or on your favorite paleo bread or biscuits (Karen has some gorgeous biscuits on page 164 of the cookbook). Or you can just eat them plain Jane! They’re basically yummy any way you serve them. CLICK HERE TO CHECK OUT KAREN’S COOKBOOK. Combine all ingredients in a large mixing bowl and mix well. Form into patties that are about 2 inches in diameter and about 1 inch thick. Make sure they are all about the same size, so they cook properly at the same time. Place the patties on a plate and refrigerate for 10 minutes so the flour to absorbs the wet ingredients and the patties to become firm. Place as many patties you can fit in the fryer basket and close. Set the timer for 10 minutes. Check the patties half way through cooking time. When the timer goes off, take them out to a serving platter and cover until all the patties are cooked. Preheat the oven to 360°F, using the convection setting, if you have it. 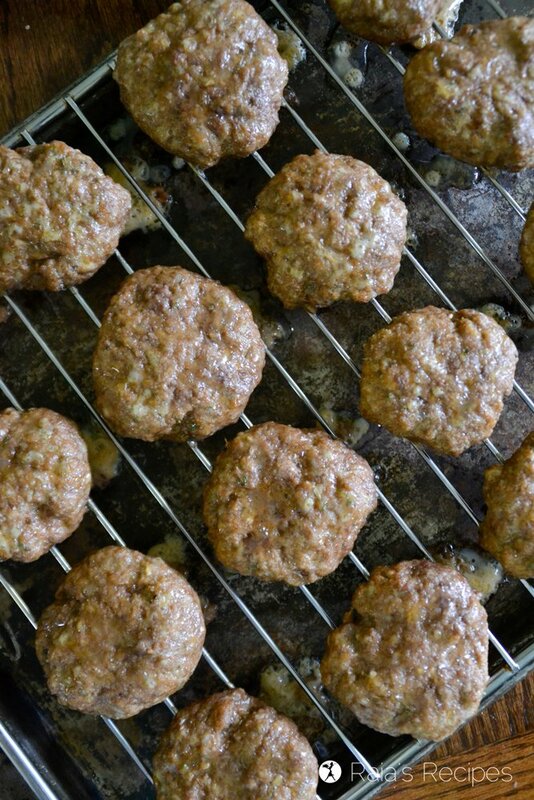 Place a wire rack over a cookie sheet and put the meatloaf patties on the wire rack. Bake for 15 minutes, or until desired doneness (you don’t want them to be pink inside!). 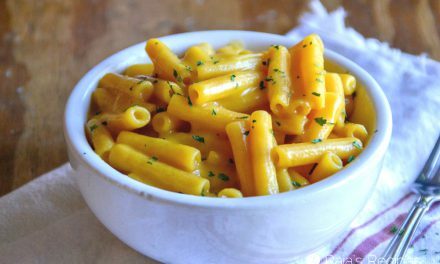 You’ll also love these other twists on classic dishes! Haha! I hear ya. 😉 They’re so good! Thanks so much for sending me your book, Karen! These look divine! Absolutely amazing and up my entire family’s alley! Yay! I hope y’all get to enjoy them, Daniela! Thanks, Libby! I hope your family gets to enjoy them! 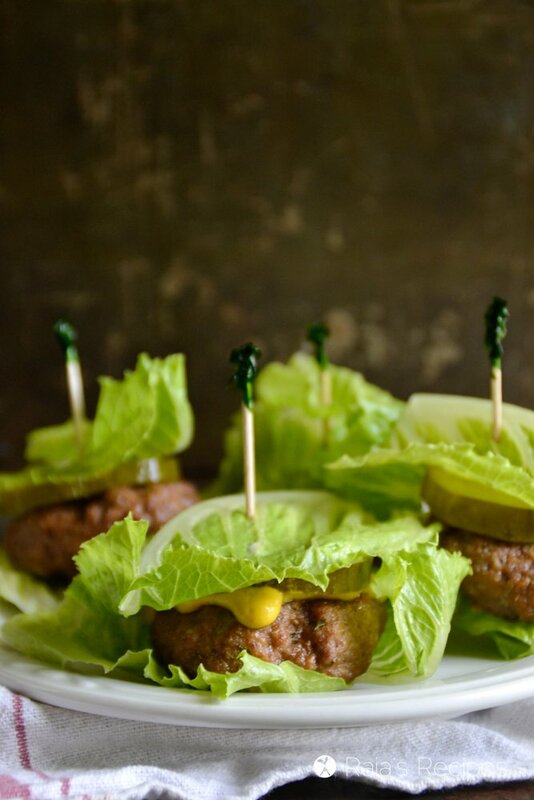 Oh yes…love this recipe and sliders in general. Also love Karen’s Air Fryer recipes! 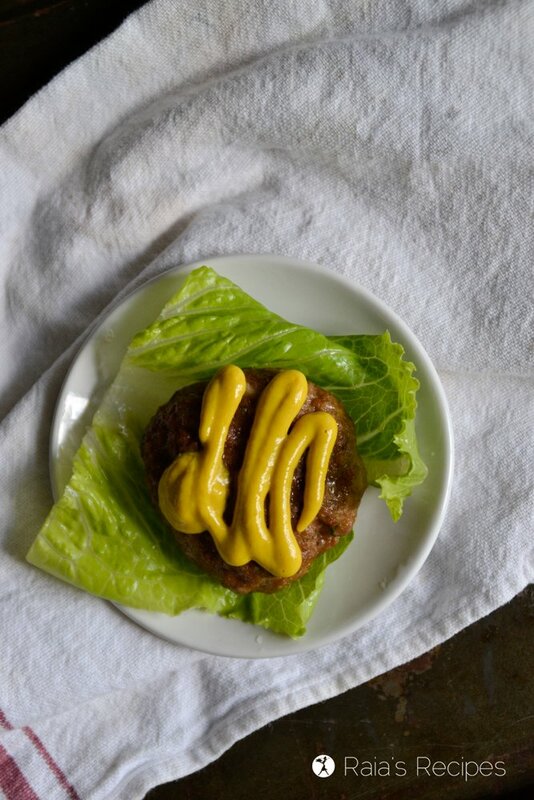 These look so great…hamburgers are one of our favorite meals as a family! Love the spices you used too! These look so fun and yummy! You are making me want to invest in an air fryer AND Karen’s cookbook! Whoa! Oh gosh I would totally eat that! I don’t have an air fryer but I think I would totally dig it – I may have to put it on my wish list! I’m glad you list some of Karen’s other recipes. They all sound great. I love how these look and my family will love them! These meatloaf sliders are incredible! 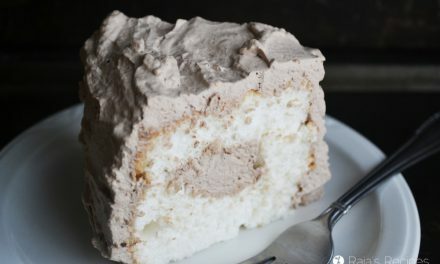 Love the coconut and almond flour in these. So unique! I love the idea of individual sized meatloaf servings. I do have an air fryer that I never use, so I need to try these! I hope you enjoy them, Annemarie! These look so perfect for entertaining, and who can resist meatloaf! Thanks, Katie! My kids are fiiinally excited about it, too. Haha. What’s not to love about these? I can’t wait to try them! I am certain that Karen’s book is fabulous. It’s on my list to purchase! You’re so welcome, Carol! I hope you get to enjoy them!